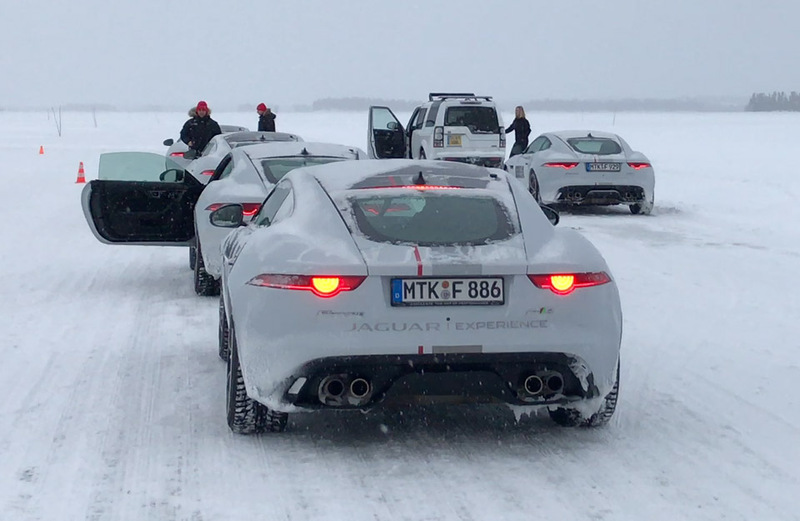 We flew to Arjeplog, Sweden to drive some of Jaguar and Land Rover’s awesome cars on challenging ice circuits, and spent the better part of a week going sideways and doing donuts. 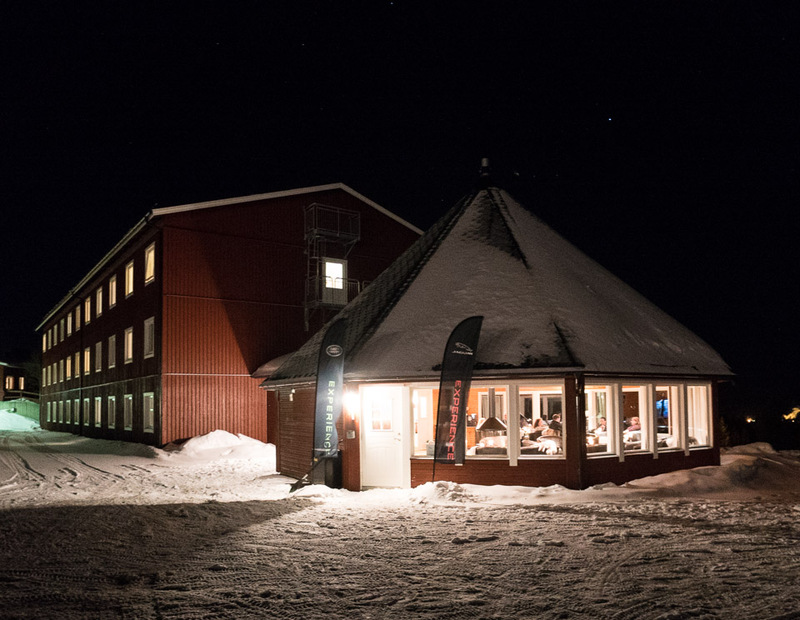 Attend for yourself, and you might even catch a glimpse of the Northern Lights. 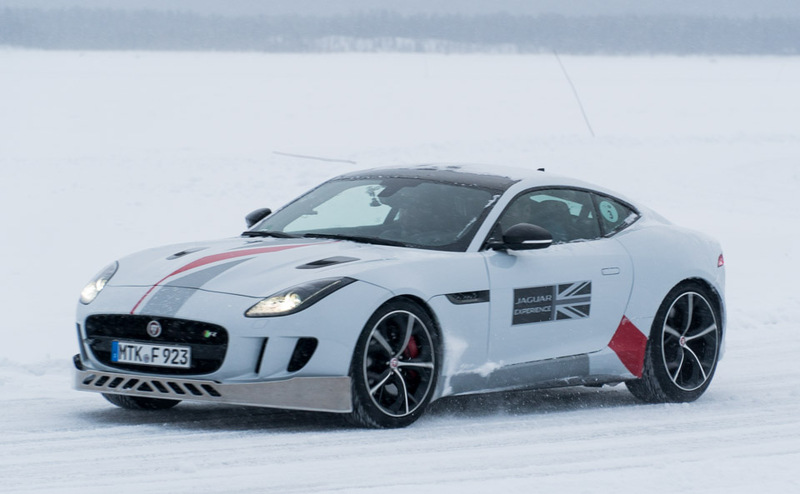 The 550 horsepower Jaguar F-TYPE R spotted outside of its natural habitat of dry tarmac. 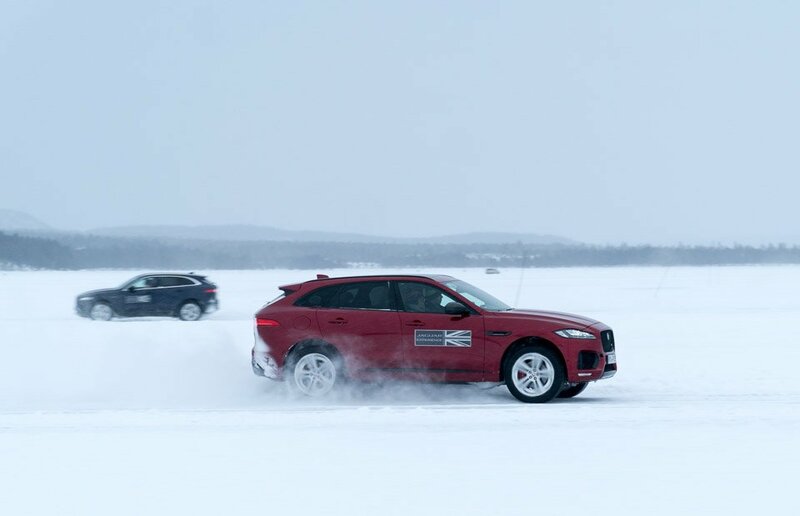 A duo of F-PACE performance SUVs perform a snowy ballet. The tiny burg of Arjeplog, Sweden, as viewed from outside of the Hotel Silverhatten. 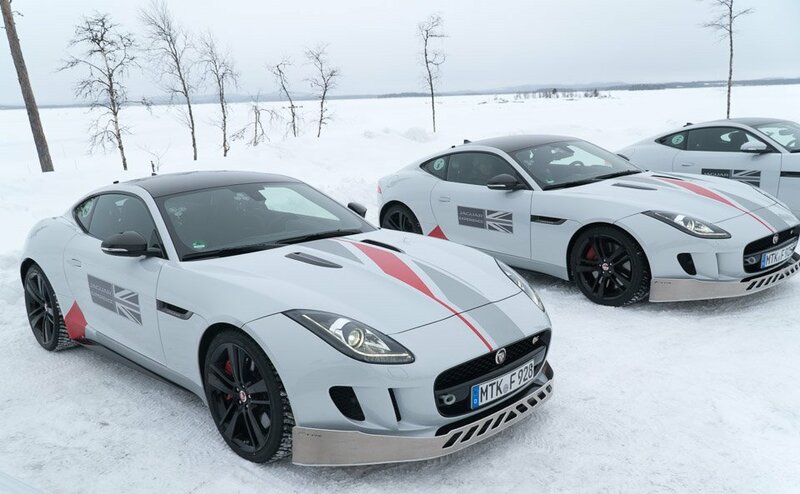 Our fleet of V6 AWD F-TYPEs ready for some serious powersliding. 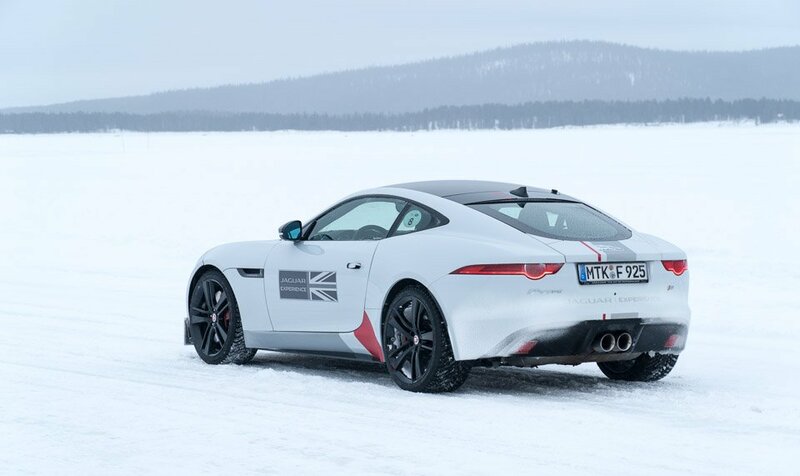 Pro tip: V6 F-TYPEs have dual exhaust tips, V8s have quads. 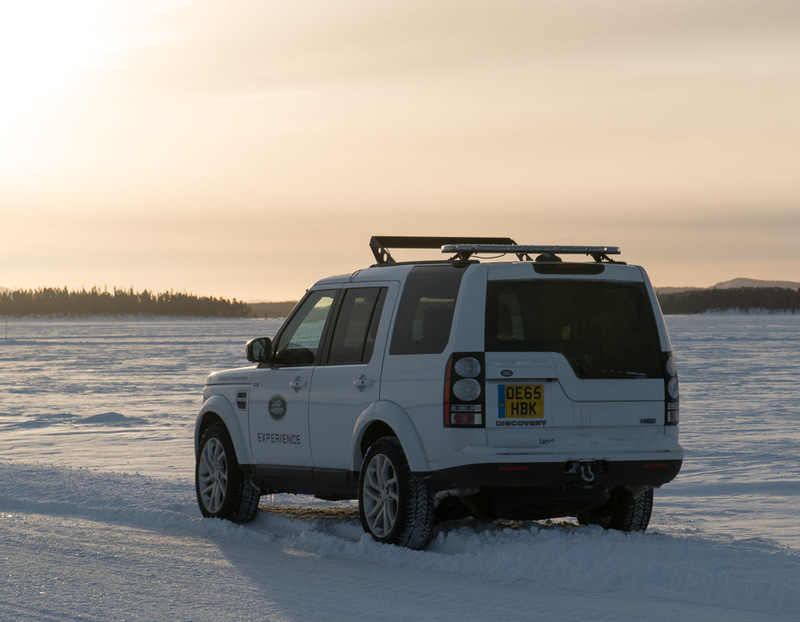 About to put that V8 power to the test on the ice. 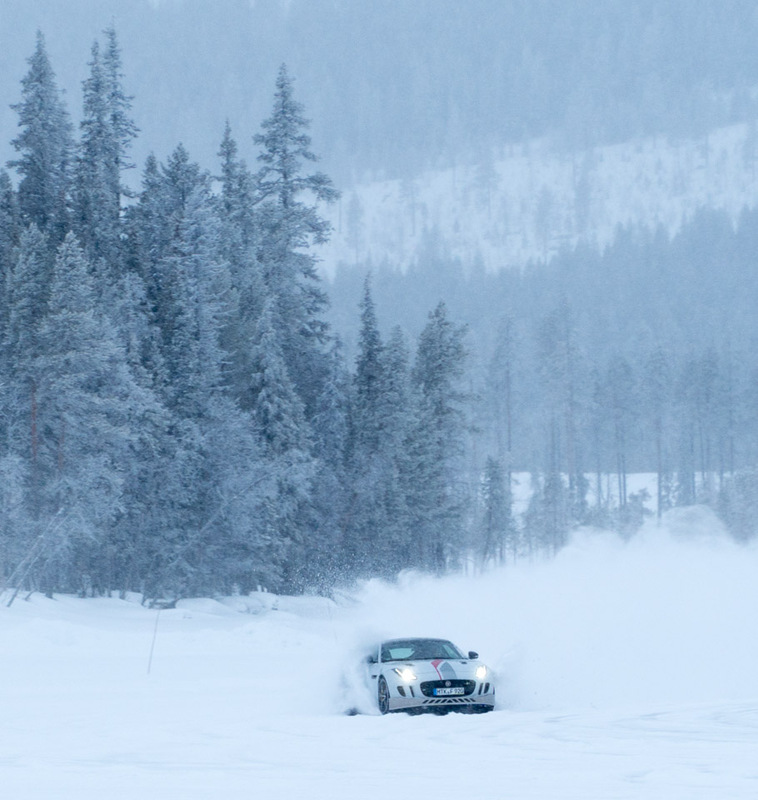 Thank goodness for studded tires. 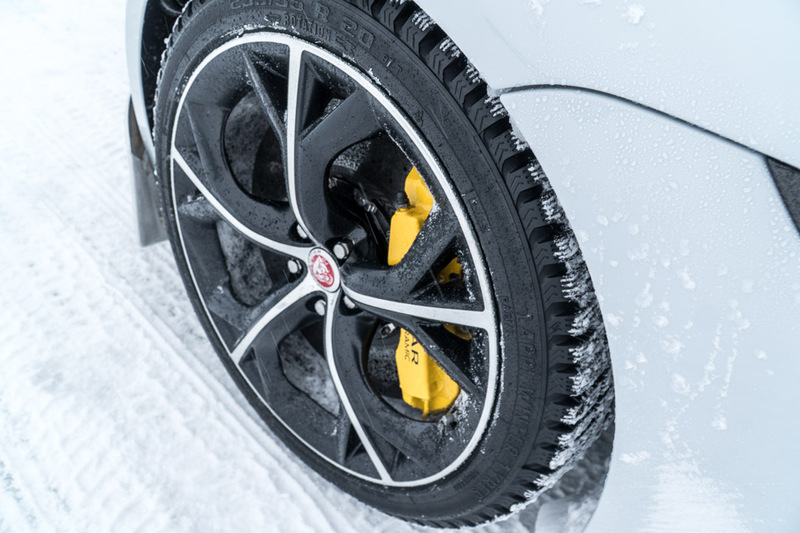 Here's a combo you rarely see: carbon ceramic brakes and winter tires with studs. 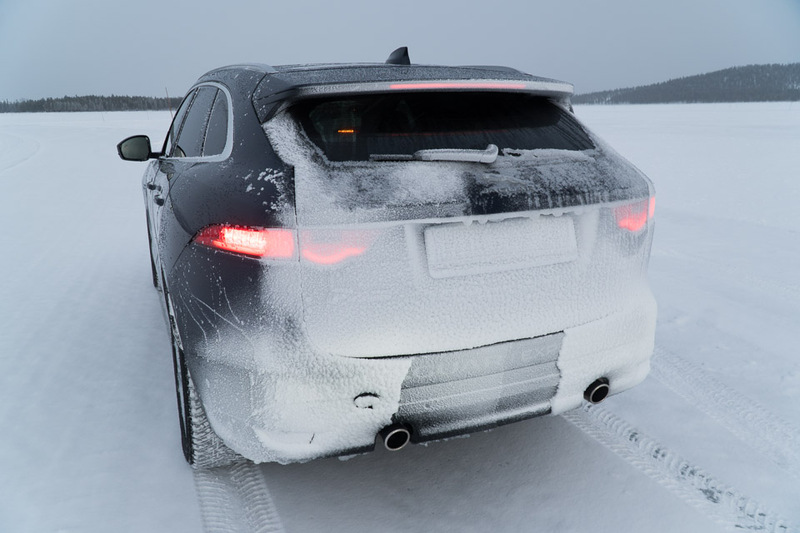 They proved extremely handy for keeping control on the slippery stuff. 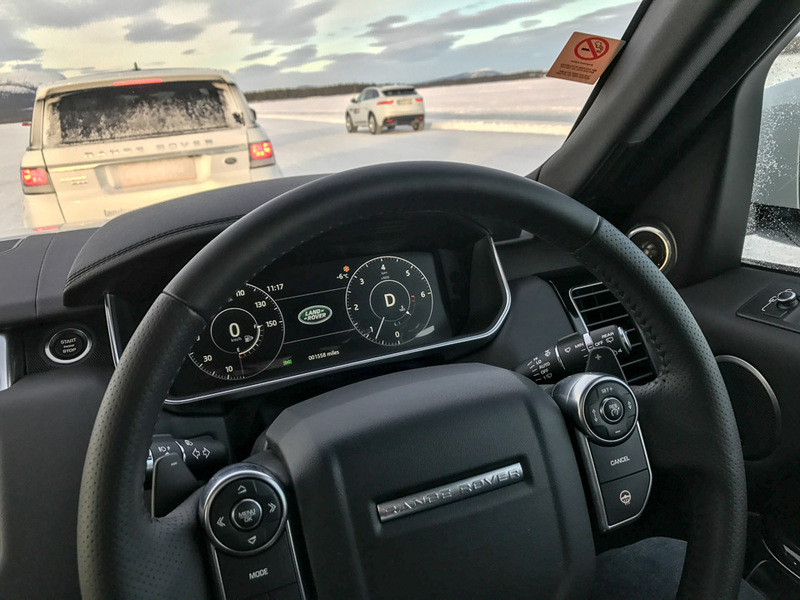 Inside the powerful and off-road capable Range Rover Sport. Notice anything different? This is a right-hand drive model. Also, it has massage seats. Woot! Our home base for the night, the cozy Hotel Silverhatten. The "teepee" provides a place to meet up and chat with fellow guests. 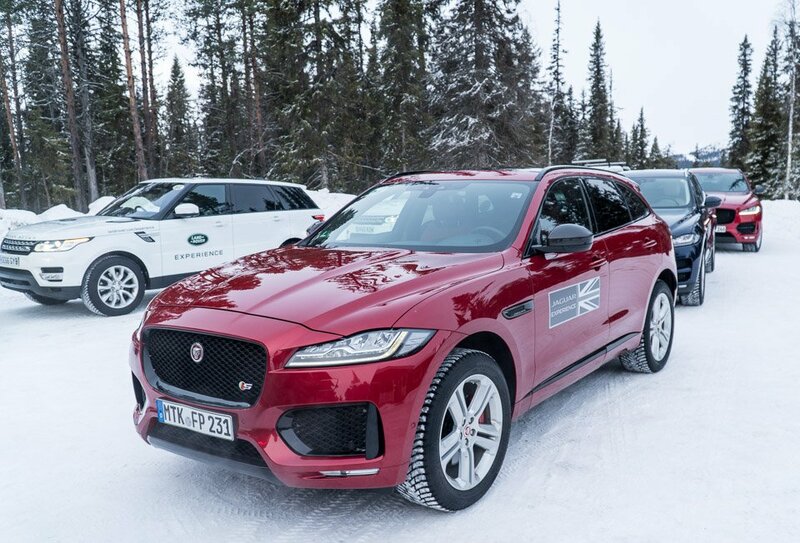 No matter which vehicle we selected, each SUV on hand proved more than capable of handling the ice. 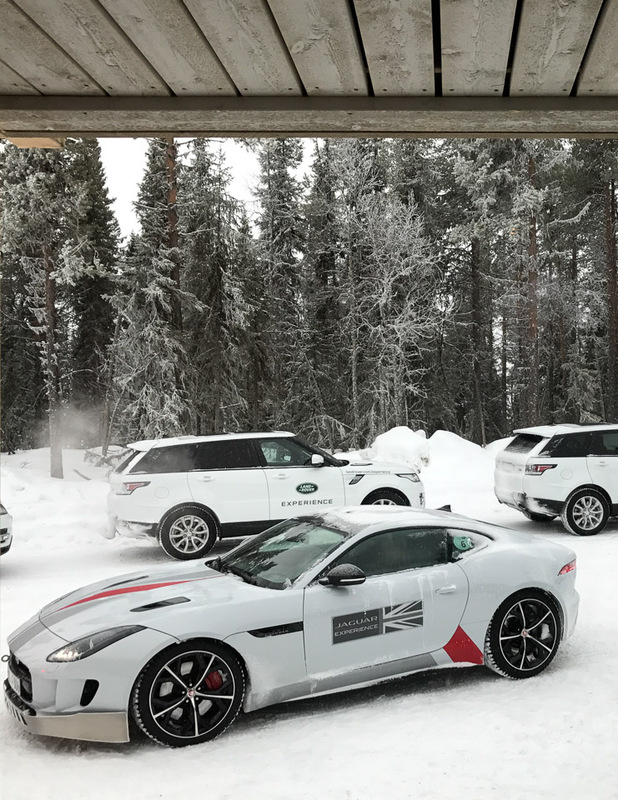 Looking out on our fleet from the warm and welcoming trackside cabin at Jaguar Land Rover's Ice Circuits. 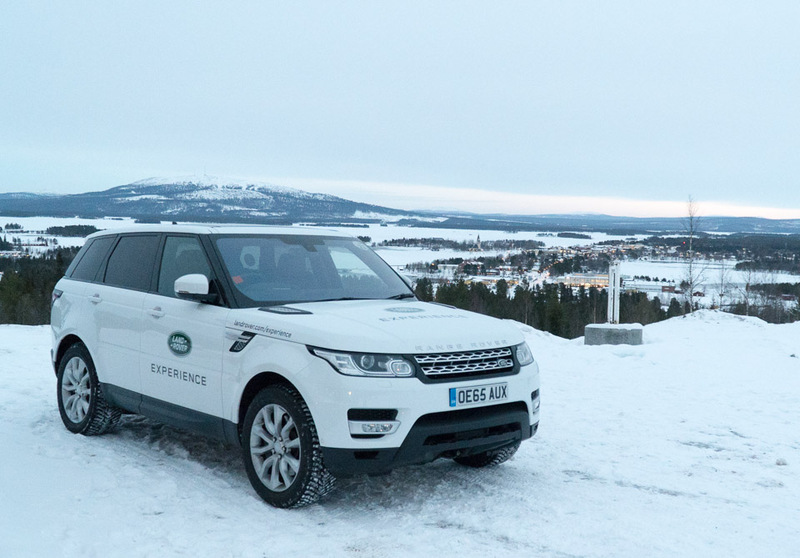 A Discovery HSE lays in wait trackside to provide support and towing abilities should anyone leave the ice and head into the snow banks. 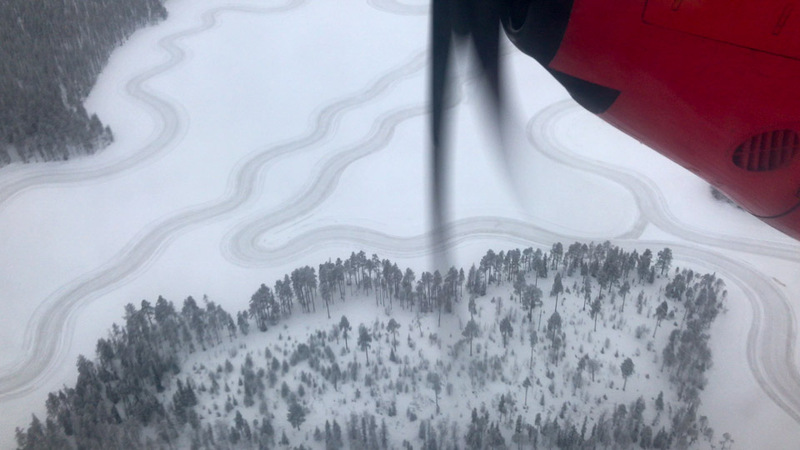 A view of one of Arjpelog's many ice driving tracks from the air. Dozens of these dot the landscape below. 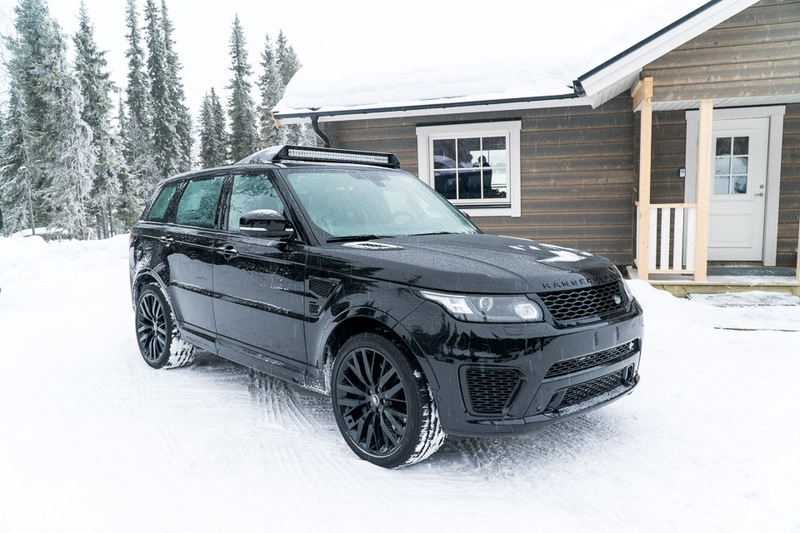 A very special Range Rover Sport SVR, outfitted for stunts in the James Bond flick, Spectre sits in front of the trackside cabin. Sadly, it didn't have snow tires. An angry white cat tears through the snow. Our favorite photo. 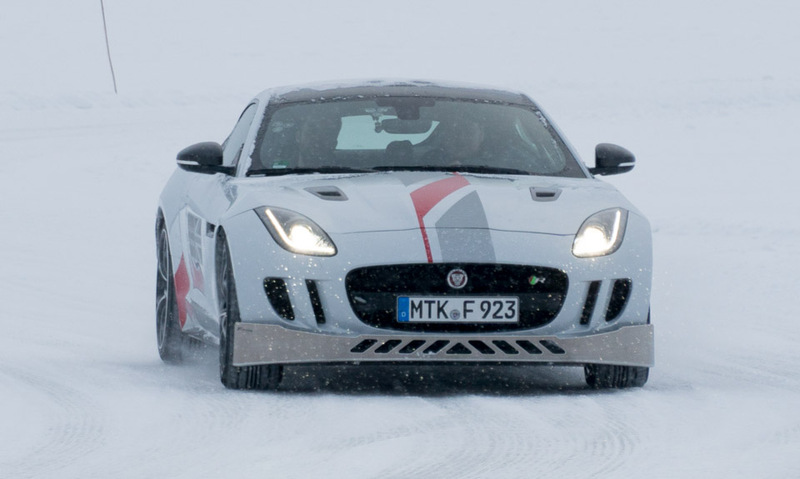 Despite its immense power, the F-TYPE R performed like a boss on the slippery stuff, thanks in part to its outstanding rear-biased all-wheel drive system. 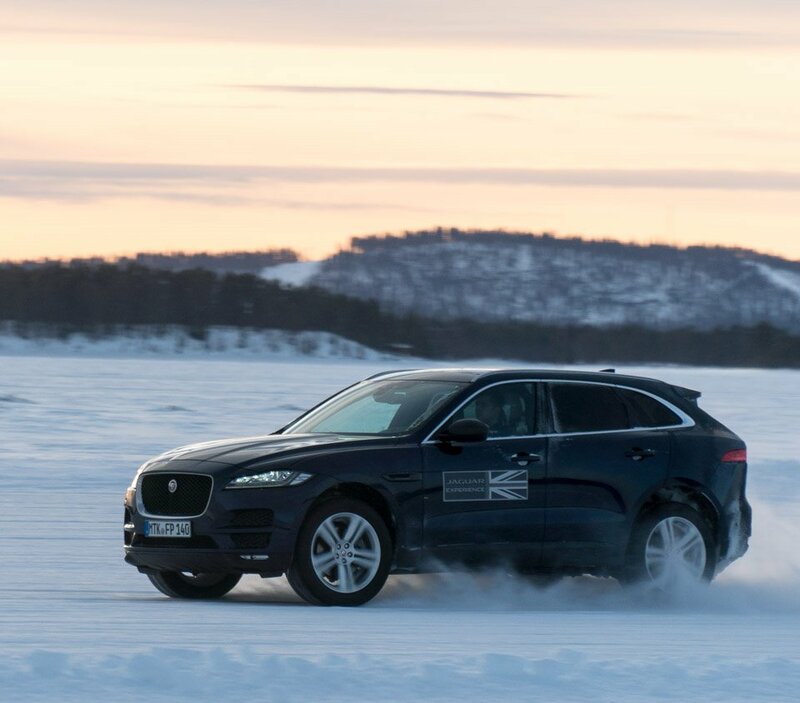 There's no question that the Jaguar F-PACE is one of the most agile SUVs we've ever driven. It took to the ice like a champ, and was immensely driftable. 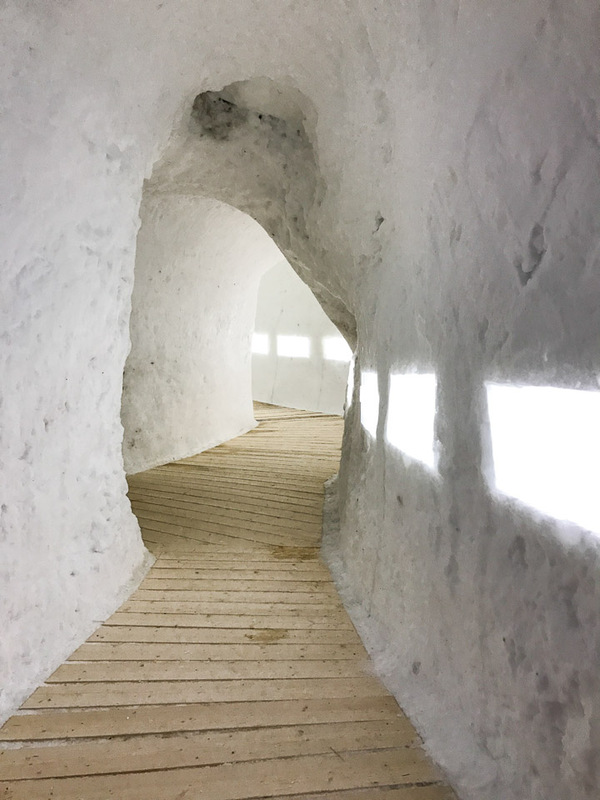 Peering inside Lapland's famed Iglootel. 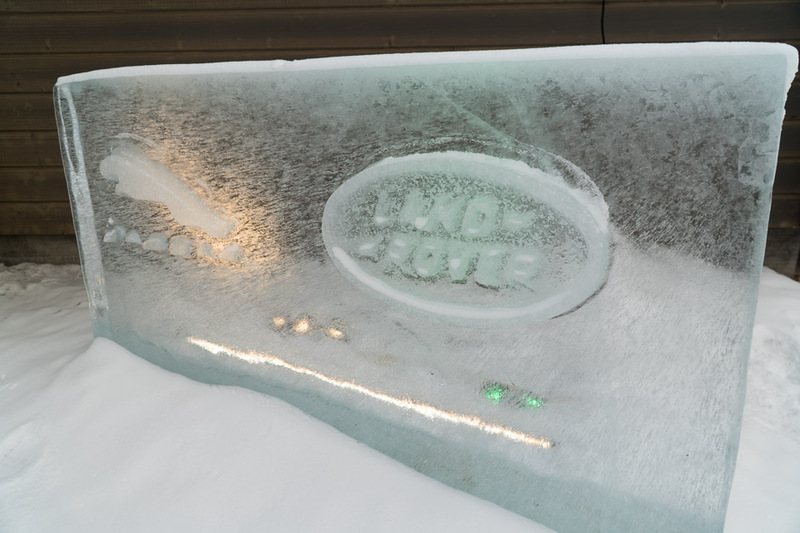 They rebuild the hotel rooms every year using giant balloons, then pack snow on top of them, then remove the balloons. 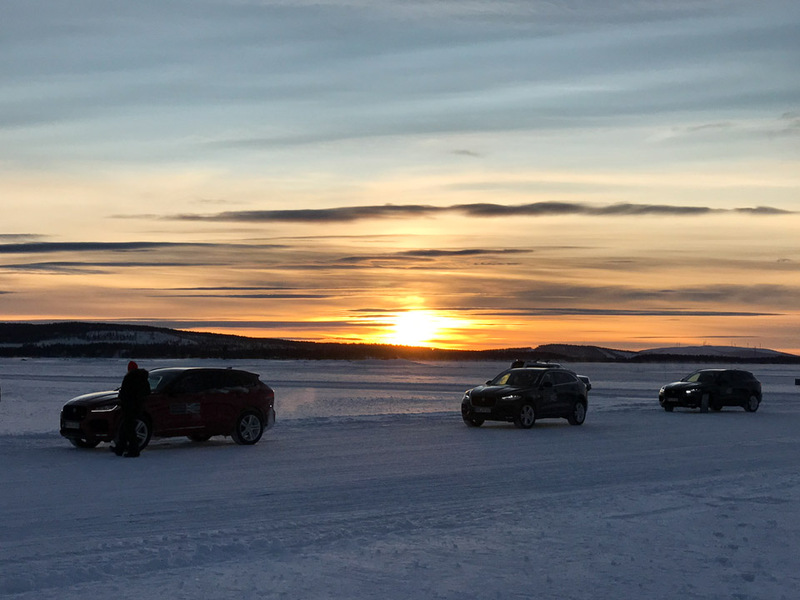 The dramatic Lapland sunset provides a suitable backdrop for our fleet of F-PACEs.